A community group promoting interest in the Inkerman Park (aka Wasp Nest), Chesterfield. The park is now a QE2 Field in Trust. 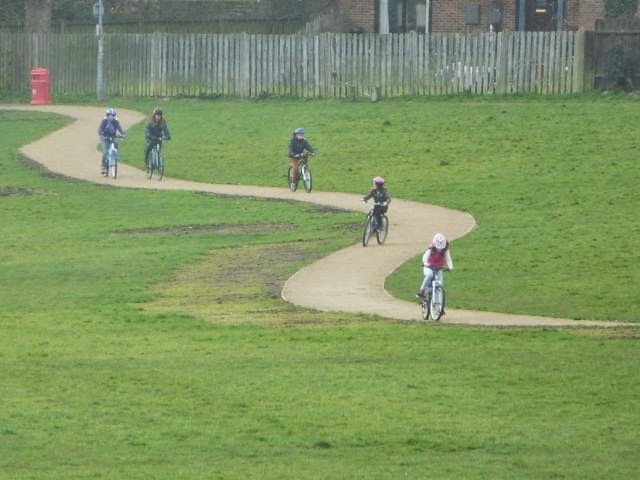 Grass beginning to grow next to the new path, great to see families cycling across the park. Contact us by email here. We are a community group promoting the use of the Inkerman Park (aka Wasp Nest) in Chesterfield, Derbyshire. 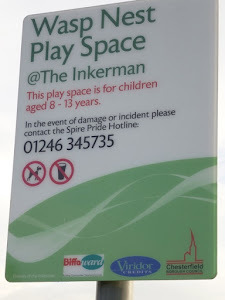 We organise occasional events on the Inkerman Park. In conjunction with the Borough Council we held a public consultation in 2010/11 and from the results of that we have a plan to enhance the park. The Chesterfield Borough Council's 'Sites and Boundaries' document of 2013 had the Inkerman identified as a site for potentially 18 houses. Friends of the Inkerman were opposed to this. We applied for QE2 Field status in conjunction with Chesterfield Borough Council which was accepted and the deed has been signed.